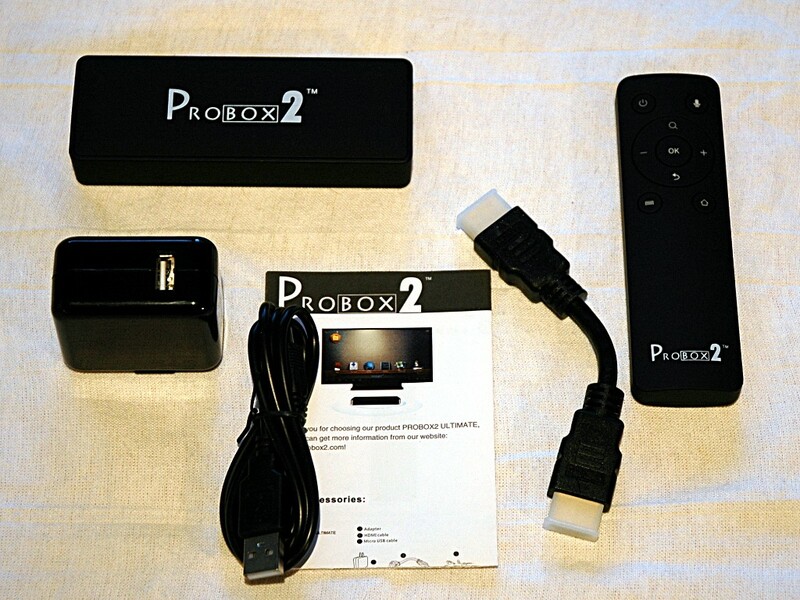 The Probox2 (sold by W2COMP) is a recent entry in the Android TV (or Android Stick PC) category. These devices fit somewhere between the size of a fat USB memory stick and a deck of cards and are full Android devices. They usually have DVI video-out, one or more USB ports, WiFi, and sometimes wired Ethernet ports, but they don’t have touch displays. The idea being that you use these devices as media/entertainment hubs for your TV, or as really inexpensive PC devices. Most of these products don’t sport well-known brand; they hail directly from several Asian factories or through distributors. This yields low prices for a lot of power, but it also means less traditional support and the potential for a lot of do-it-yourself work digging up information or getting updates. The Probox2 boasts class-leading specs for a device in this class. Let’s see how well it delivers on those specs. 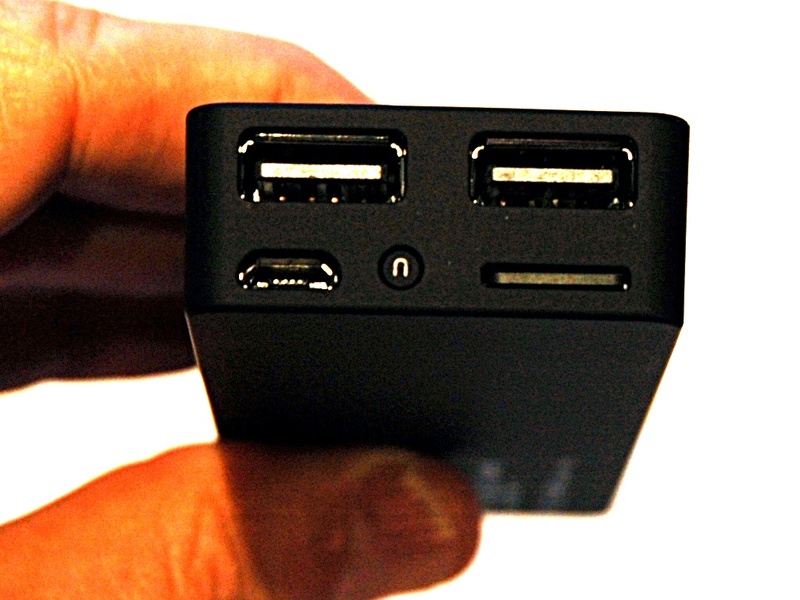 The Probox2 comes bundled with a beefy USB wall wart, a USB power cable, a really short HDMI cable, and an RF remote. It also includes a setup/user guide. The intent (clearly!) is that you’ll hang the Probox2 off the back off your TV, swinging from the HDMI cable. The USB/AC adapter would power it, and you’d drive via the remote. The Probox2 box itself comes in at 115 mm x 40 mm x 18 mm (or about 4.5 x 1.6 x .7 inches) and weighs… practically nothing. Inside the black monolith is a Rockchip RK3066 CPU – that’s a Cortex A9 Dual Core arm CPU, running at 1.6GHz. It also has a Quad Core Mali 400 GPU for graphics, and can drive the HDMI out at 720P, 1080i/1080P, and a couple SD resolutions. It has 1GB of DDR3 RAM, and 4GB of flash store chopped up as 2GB internal, and 2GB storage (working out to 1GB for your apps, and about 1.6GB of free storage on /mnt/sdcard in Android.) It also has WiFi 802.11 b/g/n (2.4ghz only) and Bluetooth 2.0. This is a pretty powerful stick of Android hardware. The Probox2 is also branded as the Uhost2 (same box, different lettering) – this branding name is more useful if you’re searching the internet for an active modding/tweaking/hacking community. 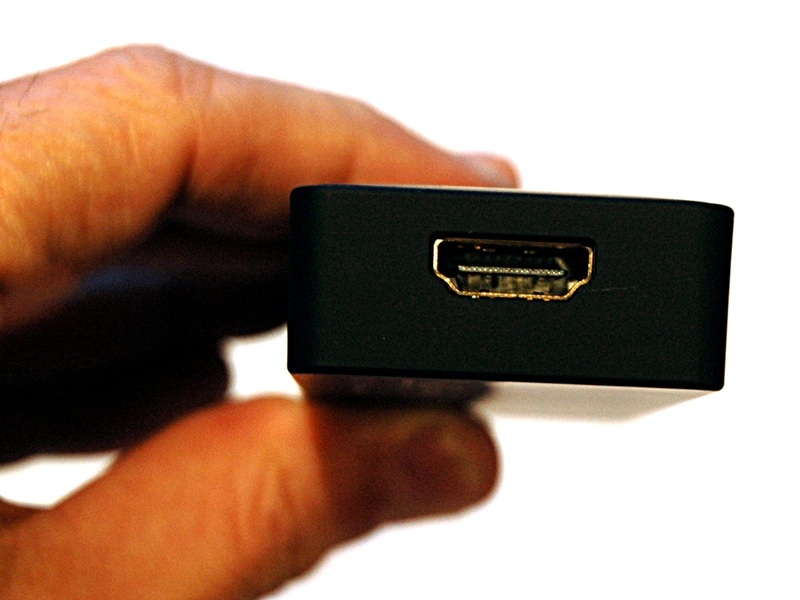 On one end is the HDMI 1.4a port – this is for both the display and audio, no other ports for audio are provided. The other end has a pair of USB 2.0 ports for USB devices (keyboards, mice, and webcams) and the microUSB port, which can be used for both power and as an active USB port – so for example, some powered hubs can be used and power the Probox2 simultaneously. The “u” button puts the Probox2 into USB disk mode, turning it into a really big USB stick when plugged into a PC/Mac. A MicroSD slot rounds out the expansion options. This slot supports cards up to 32GB in size. The bottom of the Probox2 has a blue LED light to indicate it is powered on. 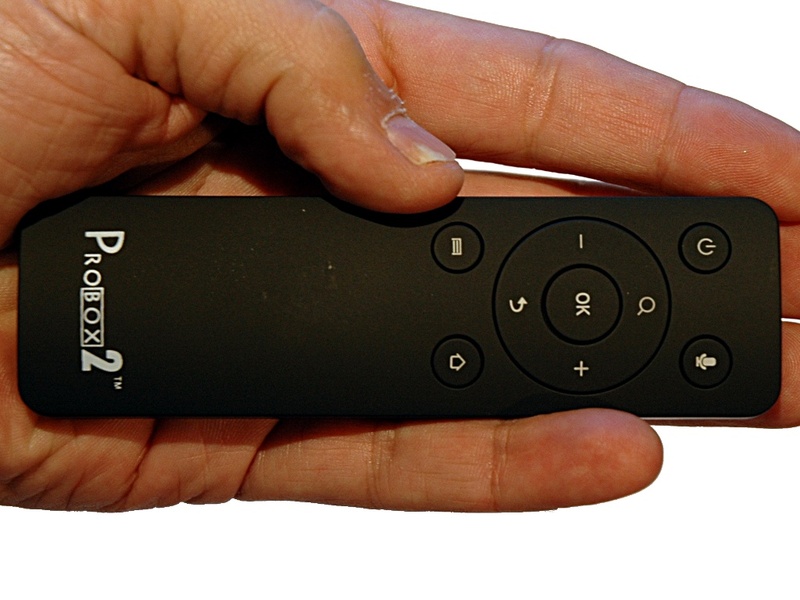 The RF remote is almost the same dimensions as the Probox2 itself at 120 mm x 35 mm x 14 mm. It takes a pair of AAA batteries, and probably weighs less than those batteries. It’s got a gyroscope (ie, it’s an “air mouse”) and a microphone, along with the minimum keys you’d need to drive Android apps. 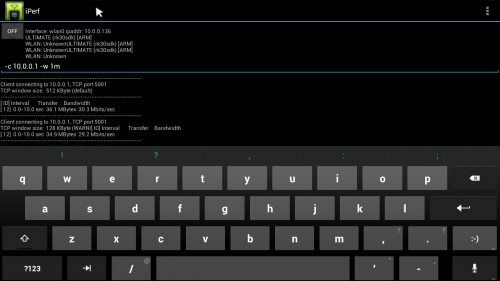 It lacks a keyboard, so you’ll be clicking on the onscreen keyboard with the mouse, or using an RF/Wireless keyboard you supply. The Power button has a backlight showing you that the mouse is awake. It can power on/off the Probox2. A short press puts the Probox2 to sleep, while a long press brings up a sleep/shutdown menu on the Probox2. 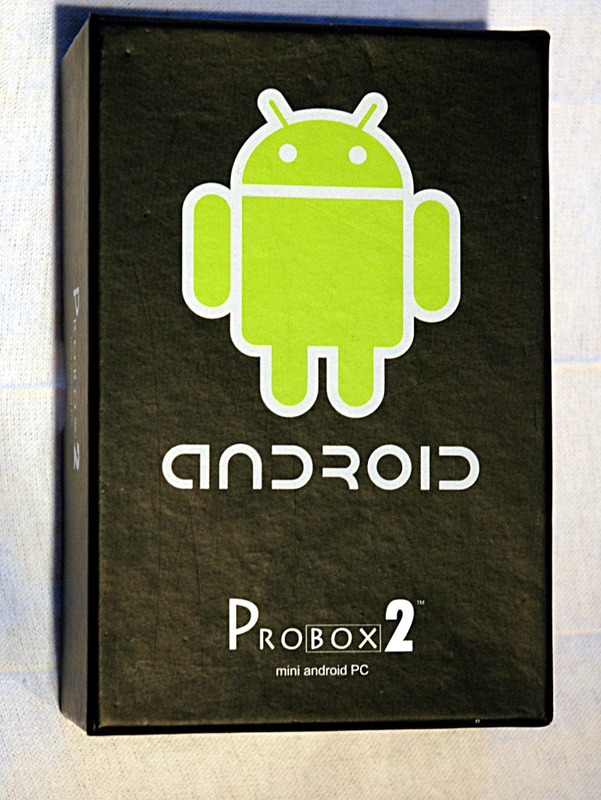 Out of the box, and as of this review, the Probox2 still runs Android ICS (4.0.4). 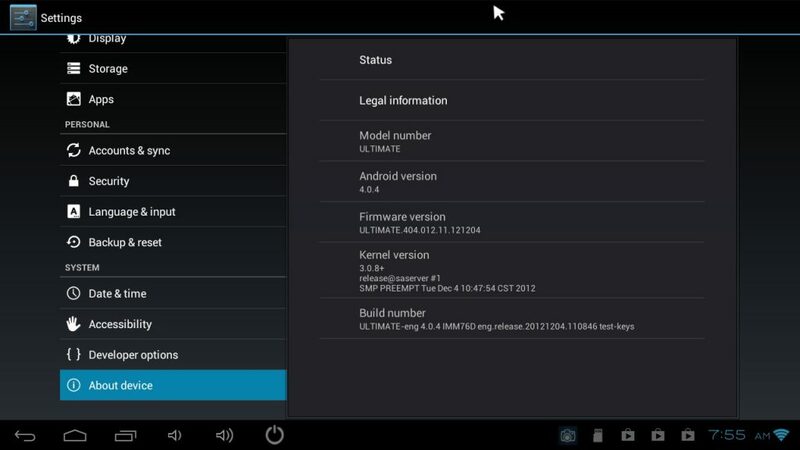 An update to JellyBean (4.2) is due out soon. During the review period, a firmware update was released – upgrading was as easy as copying the single upgrade file onto a USB stick (or SD card) and popping it into the Probox2. Aside from that, this is a full featured Android device, with full support for the Google app store/market, and setup is identical to any other Android phone/tablet. The bundled launcher is geared towards a sofa-experience, and there is an included media player. I loaded it up with Netflix, the Vulkano app (see the Vulkano review), and even the beta XBMC, which would be a typical mix of apps for an Android TV. That is the desktop running on a 720p 32″ LCD HD TV. The display is quite crisp, and the audio comes in via the HDMI cable (stereo for Android, supports DTS decoding as well). Talking about using the air-mouse isn’t as helpful as showing you the experience, so here are a pair of videos showing launching/controlling the Vulkano and Netflix Apps. From these videos, you can see a couple of important things about the Probox2. 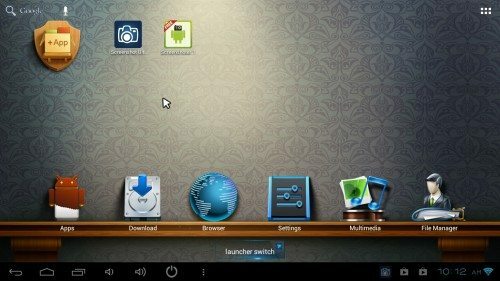 It’s a capable media player, handling 3mb media streams over WiFi with ease (the Intellinet Wireless 802.11n router is providing the WiFi), and the air mouse is quite easy to use for basic media remote control. 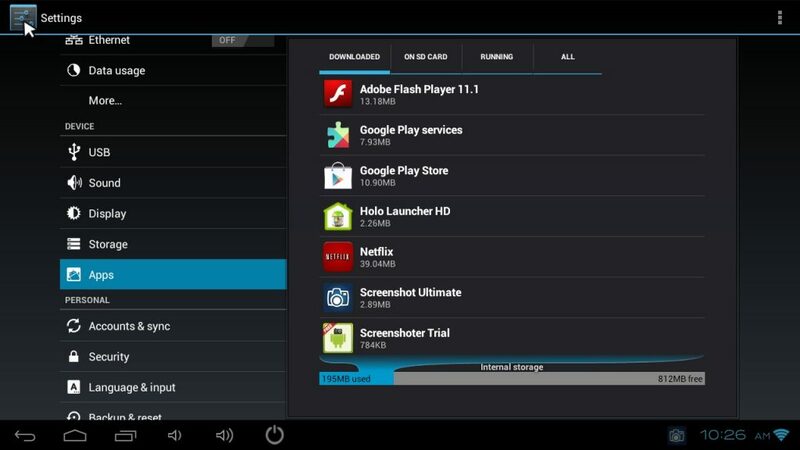 Next, a shot of the internal storage after installing several apps. Flash is installed out of the box, and Flash websites work well on the Probox2. And finally, this is a local network speed test over the WiFi link. It shows a respectable but hardly earth-shattering 30mbit throughput, typical of a 20mhz (single channel/single antenna) 802.11n connection. Given the size of the Probox2, the fact that it delivers solid if not stellar WiFi is impressive. I used the Probox2 with a USB mouse and keyboard, driving a monitor with a HDMI to DVI adapter, and it performed quite well as a silent “PC” – the only downside being the very limited display resolution choices. 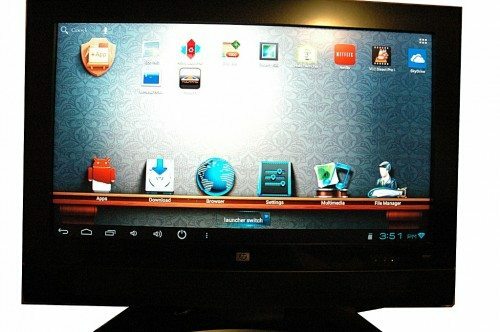 Still, coupled with a 1080P display, this would make a fine internet appliance or light-duty computer, with full compatibility with all the apps available for Android. The Probox2 delivers solid performance that matches devices with similar hardware. 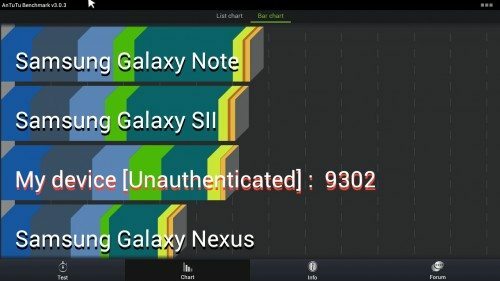 Benchmarking with AnTuTu gives an overall score that puts the Probox2 right in the neighbourhood of the Galaxy Note and SII, which are also dual-core Cortex a9 devices with Mali GPUs. In other words, the device performs as it should, from a hardware perspective. In actual use, the Probox2 delivers smooth responsiveness in the UI – apps load quickly and run smoothly. Android devices still seem to struggle to uniformly support hardware-accelerated video decoding, and that remains true with the Probox2. Netflix was able to play HD content smoothly with excellent audio sync, and I was able to use the MX player app to playback local HD and SD content (at least up to 720p) consistently without sync or video issues using software decoding. 1080p and YouTube videos (for some reason) gave me (and based on comments on several internet forums, several other people) more trouble maintaining audio sync and playing without pauses. 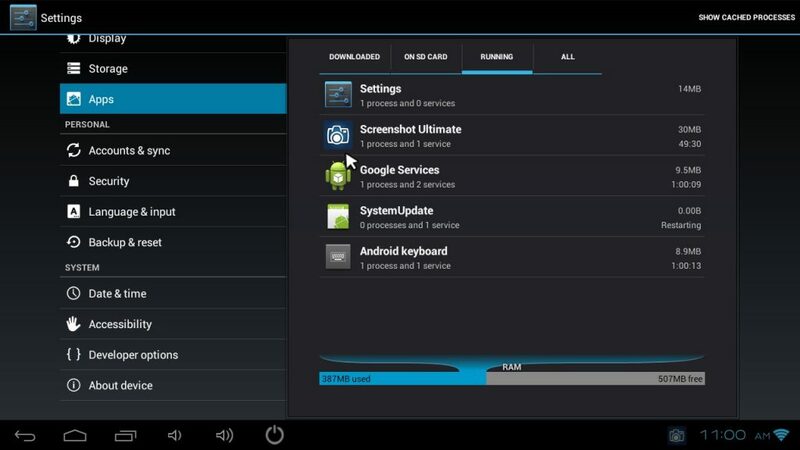 There are workarounds, but the best hope is that the upcoming Jelly Bean update will enable full support for hardware accelerated a/v decoding/playback. This is by no means a fatal flaw, but it is something that may (depending on your usage) require some configuration/software tweaking to get right, depending on what you’re trying to do with it. 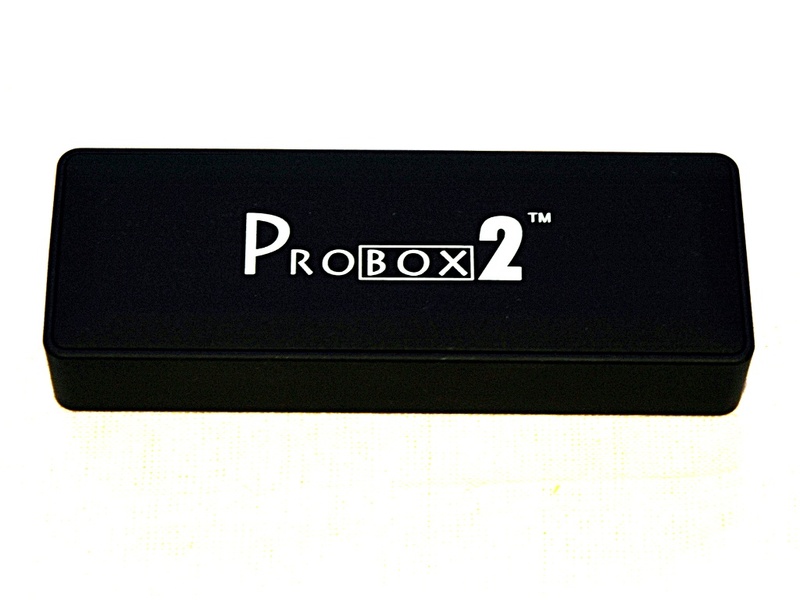 For $90, you really can’t beat the overall capabilities of the Probox2. It’s actually tiny enough to toss into a bag and bring with you to use at a hotel, it’s dead simple to attach and use as a media device, and it delivers solid Android performance and compatibility in line with its hardware specifications. The supplied pair of USB ports and SD card slot allow it to be transformed into a capable thin client/light duty PC, to boot. The issues I outlined above with hardware accelerated decoding are by no means unique to the Probox2 and can be mitigated until addressed with firmware updates. Small, silent, low-power Android "stick". Thanks for the informative review. Do you think it’s strong enough to play some higher end games from the google play store? If it was, wondering the possibility of hooking up a ps3 controler to play some of the FPS games on the market. The benchmarks put it about on par with a Galaxy SII or Note, so use those as your guide… if a game plays on them, it will play on the Probox2. I don’t have a PS3 controller so hand waving is all I can do here. Reports are that this update does address the audio sync issues over HDMI. I have not applied the update yet, but will report back again once I do. I bought one of these & within less than a week I’m returning it. 3. Plugging a keyboard & mouse in via USB causes the mouse not to function properly half the time. – This issue is all over third-party forums about this bug. 5. XBMC causes CPU utilization close to 100% most of the time when updating the library making XBMC unusable during this time. 7. No direct support from ProComp2.com, you have to fish around other forums to find answers but none are forthcoming. 8. The Kernel doesn’t support many USB-RJ45 adapters, so you have to get a specific chipset only. Although the Linux kernel has supported my adapter since 2.6 (ProBox2 on 3.08). 10. The ProBox2 is OEM from a Chinese vendor called Smallart, they have a reputation for producing good with poor support & leaving customers with unresolved issues. 1) Not reproduced here – good up to 10′ – ample distance for lean back use, as expected from a 2.4ghz device. It’s possible you have a lot of interference in that band, or a faulty unity. 3) I used USB kbd/mouse for most of the review period along with air mouse. Not seeing any issues here either, what exactly do you see as “not functioning”? 5) XMBC is still very much alpha/beta – it seems to perform fine for me, which version did you use? 6) I’ll look at this again, but I am not sure what you mean by a scaled 720p interface. 7) Support is what it is. I noted this would be either a “use it as supplied” or “explore the internets” device. Which is very much the case for any device in this category. 8) There are USB wired ethernet adapters that work, but the device is marketed and functions well with wireless, so hardly fair to ding it for not supporting a specific USB ethernet adapter. 9) running 24/7/30 days for me, have not shut it off or rebooted since early January. Again, I am wondering if perhaps you got a bad unit. 10) See #7. Fully noted in Review. 4) firmware 4.1.1 – Antutu benchmark 7043 vs 9302 on 4.0.4 – however a quick check on a number of forums verifies that Antutu reports significantly lower number for all devices with JB/4.1 roms, so this is not unexpected. 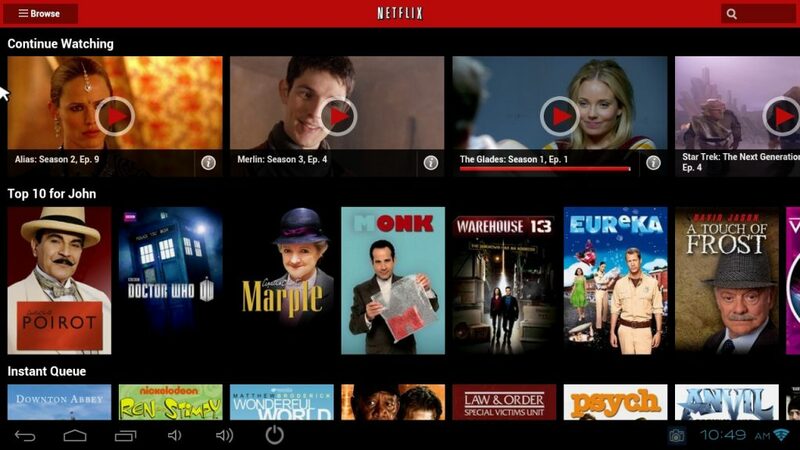 Performance on the new rom (from a user perspective) seems the same in apps like Netflix. What I did find was audio sync was greatly improved, which is far more important. I have verified that the current 4.1 rom gives you a 1080p option – not selected by default, but when selected it fails to sync on my fairly new Sharp LCD TV (which fully supports the resolution) – so it falls back to 720p. I’ll see if I can get any details on this and update. 1) & 2) I turned off 2.4GHz networking on my router during testing to no effect. 3) For the USB problem it’s when I have two devices plugged in (excluding the power) one device doesn’t function properly. i.e. to write this I had to unplug my mouse as the keyboard wouldn’t work. In other scenario’s the mouse can move left & right on the screen but not up & down. Othere forums list multiple USB device problems it’s befinately a kernel bug. 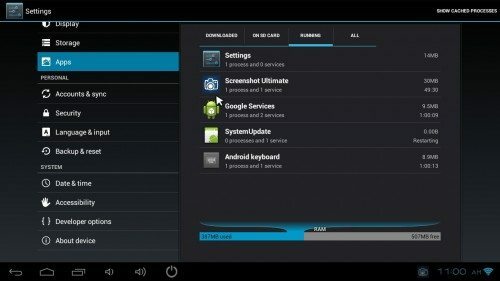 5) My Asus Transformer TF101 tablet with a non NEON build works better. 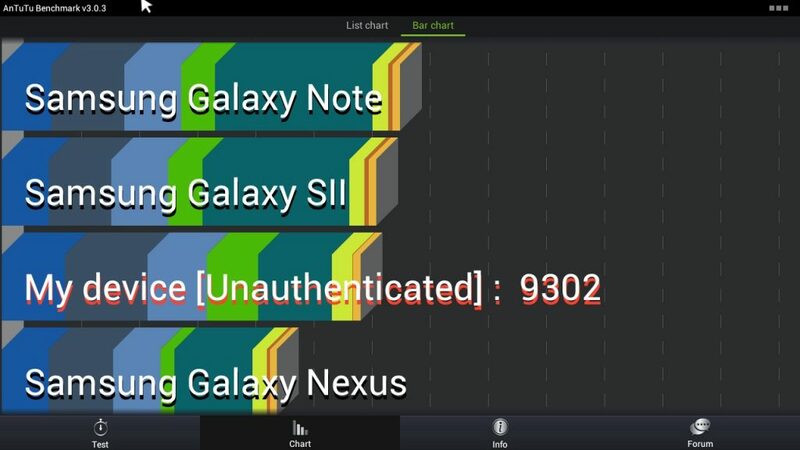 Even running it on a Galaxy Nexus has no issues. If I can’t run XBMC on it then it’s useless to me. CPU utilization on the second core is over 90 most of the time. 6) You’ve seen some 1080p issues. When you do get it working you’ll notice the inteface is scaled up from 720p. Again reported in many forums with a dangling carrot of, we may put true 1080p in the firmware eventually. 10) I desperately wanted this device to be good but all these issues are difficult to deal with. I now have to go through a third-party (again with poor support) to ask for my money back. I will report how 4.04 goes, but I suspect this unit may be faulty or is just not up to task. I am using a USB keyboard and a USB mouse, both plugged in to the USB ports on the Probox2, with no issues. I do wonder if you’re having hardware issues with your unit – I don’t have any idea what the support is like, so please do report back on your support/refund experience. I have tried 4.04 (UHOST2 firmware), it didn’t take long to determine the problems I experience still exist I’m afraid. Definitely seems like a faulty unit to me. I have asked for a refund & RMA instructions as my confidence is shot. I will let you know. Same exact experience as DMAN here. I’ll add that I had it sitting about 2 feet from my wireless router and it still drops the connection like crazy. The company W2Comp is nice enough to offer to trade my unit but not good enough to pay for shipping. I’m also going the refund route. Firmware is up to a 4.1 version, which will drive 1080p. I used the probox to drive some content in an upcoming soundbar review – it was left on 24/7 for several weeks, and is about 30′ and one wall away from the 802.11n router I use. It’s lost connection a couple times in that span of time, recovering with a reboot. Realistically this isn’t horrible performance. The thing must have all of 3″ of antenna inside it. I’d say if you are dropping wifi more often than that you probably do have some hardware issue, but it won’t be able to handle much interference even if it is working well. Hazards of a small and inexpensive device.